Own Your Authority! Live into a great story! Loving is our Kingdom work! In November of 2013, I had the privilege of visiting West Minster Abbey in London to attend a conference about the life of C.S. Lewis. How inspiring it was to understand that he was not just an incredible writer with transforming messages that inspired people all over the world. He was also one of the most generous, serving, humble, compassionate, loving men in his generation. During World War II, he invited young children to live in His home, away from the bombings in London. He cared for the mother and daughter of a friend of his who died in World War I for many years. He gave away a great deal of the money he earned from writing and speaking. He shared Christ, loved friends dearly and lived as fully into Kingdom work as he possibly could. Each of us has a story to live and people who are sprinkled in our lives that we may influence and love in the name of Christ. But we must choose to share our faith, our earthly goods, our focussed time and our love freely. I was a lonely freshman in college living on the tenth floor of a dormitory. To my friends, I looked normal, content. But inside, I was praying that if there was a God in the universe, He would send someone to me to tell me about Himself. 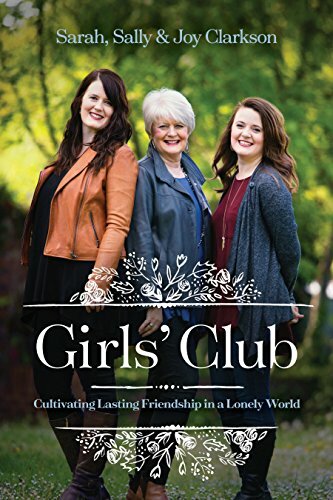 Sure enough, a shy girl knocked on my dorm door, and because of her, I became a Christian and have served Christ in full time ministry for 40 years--because she loved Jesus enough to take a risk to tell me about him. Because of her, I have written 9 Christian books in 10 languages, spoken to thousands and thousands of people about Christ--and all because she knocked on my door, became my friend and told me of His great love. His love changes lives and everyone you know was made to know and experience this redeeming love--even if they do not "look the type" as my friend told me one day---you just didn't look like someone who would be interested in Christianity! Jesus will ask us how we whispered the wonderful message of His love to those He brought into our lives--to our neighbors, co-workers, to our children. 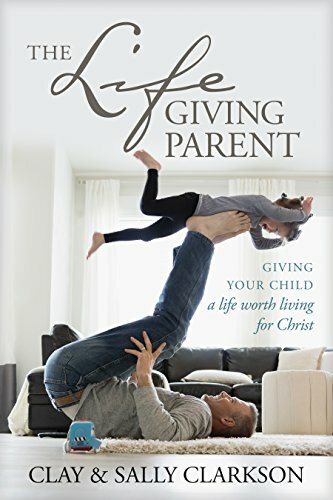 I have spent many years seeking to help parents learn how to share God's love, His character, His wisdom to the lives of their children so that they will continue to serve Him through out their whole adult lives. You never know how that one act of obedience might invite someone into the kingdom of God who might become a great teacher, a strong leader who uses his or her Christianity to influence the whole world. What if one of your children is destined by God to become a leader in his generation for the Kingdom of God? The way you invest in the life of your children may be the most important kingdom work you ever accomplish. Perhaps you are single--there are so many single adults longing for a place to find community and love. (My single adult children find this all the time in their own lives and ministry.) Perhaps you have a sick relative--the way you share love at the hospital or in schools--will become a transforming message as you extend the love of God wherever you go. I made a little video for you today to share with you about the amazing theme of this week's chapter. Loving is our kingdom work! Come Join me for Summer Inspiration and a wonderful time of fellowship with moms all over the world. I am soooo excited to be hosting a Live 10 Gifts e-conference Monday night and Tuesday night. I love seeing the names of women from all over the world pop up on my screen when we do the videos. Finally we have a way to encourage women all over the world without them having to attend our conferences live. My passion for wanting to train parents and especially moms to raise a godly generation seems to grow with each day! This eternal work of shaping souls, inspiring a vision, shaping a strong moral character, is some of the most important Kingdom work any of us will ever do. Moms are the civilizers who have literally shaped history when they took the time and gave their heart to investing in their children to give them a living faith. 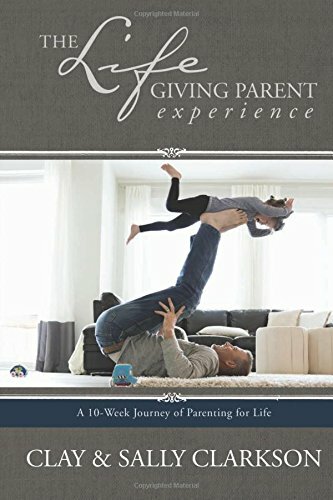 Join me as I give 4 one hour talks about how to plan, implement and train your children in 10 basic areas of wisdom to prepare them to be strong as they move from your home into adulthood. This conference will give vision to young moms just beginning to shape their plan for loving and training their children. I think it will also be a refresher course for moms still in the trenches of training and discipling older children. If you are not able to attend live, you can still register and you will receive the pdf outlines for the talks, a link to the video lectures as well as 10 beautiful downloadable posters you can print out for each of the 10 gifts! Please spread the news to your friends on facebook and twitter tell them about our wonderful conference. We shall change history together as we seek God’s blessing, wisdom and favor for raising our children for His glory! What a great week. God bless yours. Newer PostOh the need for Grace Every Day! Older PostYou Gotta Laugh or you will die!